Over this last weekend, some Adwords users have received a warning email from Google stating that their landing pages are of poor quality and do not comply with Google’s landing page and site quality guidelines. Some users have already been banned outright. Check out the discussions at Webmasterworld and the Google AdWords Forum. Has there been a change in quality standards? A new rule? Perhaps a harder enforcement of a previously lax guideline? Naturally, webmasters are irate. There appears to be no official comment from Google, but we’ll keep you posted. In the meantime, let’s take a look at Google landing page quality standards. Google introduced a quality score back in 2005. This quality score covered various data points, including the ad text and click through rates, and helps ensure the user finds what they’re look for. Soon after, Google added a landing page score to the mix. This score evaluated the landing page in terms of relevance i.e. the page should reflect the promise made by the ad. The text also must be original, so that users aren’t seeing the exact same landing page if they click on different ads. There should not be excessive pop-ups, or any means to “trap” the user i.e. disabling the back button. In many ways, these policies mirror the type of sites Google ranks in the organic serps, relevancy to the keyword term being the primary requirement. Here are Google’s official landing page standards. Now, Google uses an automated bot to determine compliance, yet Google doesn’t provide a means for webmasters to test their pages, presumably because they want to keep their scoring mechanisms a secret. How Can You Tell If Your Landing Page Is Optimized For Google’s Quality Standards? Dave Davis has an excellent tutorial on SearchEngineJournal. Check out W3 Semantic Extractor and the Google site related keyword tool. What better way to get information about what Google thinks your site is about then using a tool designed by Google to figure out exactly what your site is about? In summary, you need to ensure your page contains the same or similar terms as appear in the Adwords ad, and these terms need to be displayed prominently on your landing page in order to comply in terms of relevance. If you go one step further and test your pages using the site related keyword tool, and the semantic extractor, you stand a good chance of achieving a high quality score. Link to the page on your site that provides the most useful and accurate information about the product or service in your ad. Ensure the landing page and the ad are identical in terms of subject matter. Click-backs can affect your quality score, so make sure you repeat the keyword term high up on the page, in bold, in your copy. This also helps reaffirm to the user that they’ve arrived at the right place. Your page can’t consist mostly of ads. I’ve seen a lot of pages getting away with this, however. Pretty obvious. Users typically don’t register for something unless they desperately want what you’re offering. There is a high likelihood they’ll click back if presented with registration as the only option. That’s a big one. Google don’t want just an ad, and certainly not a misleading one. They want information, much the same as they require in the organic search results. Focus on providing user utility and you can’t go too far wrong. If your landing page consists of mostly ads or general search results (such as a directory or catalog page), you should provide as much information as you can beyond what your ad describes. For example, if your ad mentions <’Free travel information,’ your landing page should feature free travel information (versus links to other sites that do). Your page should be an informative destination in itself. Of course, you need to balance the commercial imperative – making a conversion – with an informational one. You should have unique content (should not be similar or nearly identical in appearance to another site). For more information, see our affiliate guidelines. As mentioned, earlier, Google will want to avoid showing the same page to users if they happen to click multiple ads. It’s not hard for Google to spot duplicate content, so make sure your text is original. Increase value & customer satisfaciton through using different strategies. To avoid duplication, consider various angles. i.e. instead of talking about the product itself, provide a “how to solve a problem” page for users. This how-to, of course, will recommend the product in question. Tell a story about using the product, provide unique testimonials, etc. Avoid cutting and pasting from the suppliers website. Finally, a lot of the emails concerning the banning appear to have been sent to affiliates, both direct-to merchant and otherwise. There are some big spenders in there, so it looks like Google is tightening the noose on the middle man, once again. You buy a laptop for $1K from HP,DELL, or IBM. This laptop has much lower margins than sending a few bytes over the wire. Yet, if you have a problem you expect, and you will be able, to contact someone in support via toll-free phone, live chat or email to resolve the problem. If the result is not satisfactory, you can get the problem escalated to a case manager or eventually executive support. At some point someone with sufficient *authority* to fix your particular problem will respond. But, if you spend $100K on ads, the best you can get is a vague automated email. Heh. Makes you wonder what some of these pages look like? Anyone got an example of a banned page they care to share? Great article Peter, sums up the whole situation pretty well. As you can see, some of the commenters did not believe what I was saying. In typical Google fashion, they are trying to solve a problem with an automated solution. I feel sorry for the Google reps who have to keep their mouths shut. This post is spot on. Clearly Google changed the rules recently. We have been running some small campaigns we believe to be well within guidelines – tight ad groups, relevant keywords, good ad copy, well constructed landing pages with good navigation and disclosure, unique and relevant content, etc. We had all of our keywords running with quality scores between 7 and 10 and good CTR for several months. Then *wham*, a few weeks ago all the quality scores dropped to 1 without any changes on our part. This effectively stops the campaigns from running. And Google won’t reply to several emails sent. This is a ridiculous way to run a business. How can not responding to a paying customer be good? ran to my mcc, unlinked an old affiliate client I had. now I have more time time to go thru rest of clients and weed out low quality score kws… either deleting them or moving them into their own new adgroups. we were forewarned when quality scores became available. its been many months. Yeah I have heard many people complaining about ‘final warnings’. Even those accounts that have been inactive for months, have been receiving such warnings. It might be the case that Google is simply reprimanding any account that has a less than perfect history. Unless you got the email of death, such as the one referenced in the beginning of this post, I don’t think there is much to worry about. Just clean up your landing pages! Ultimately all that Google wants is to take out that trash. Peter D – great post, interesting topic. Dave Davis – unfortunately, everything Google does has to have an automated attempt first. Could you imagine getting 1M phone calls every day? The math is impossible. Overall – I think this is a good move by Google. Nobody likes to be penalized or shut down if they are not guilty of the crime, but unfortunately some will. But, this just follows in their true intent to provide searchers what they are actually looking for, which is pretty noble. AtlantaRealEstate – Dave Davis – unfortunately, everything Google does has to have an automated attempt first. Could you imagine getting 1M phone calls every day? I see this as a poor excuse. If you have enough customers to generate 1M phone calls a day, then you should spend some of the revenue those bazillion customers create a call center that can provide proper support!!! The excuse of 1m telephone calls is hogwash. If Google wants to be in the ad business then let them be responsible to the customer. I’m very skeptical of this whole “pour your money into Google ad campaign” mentality without proper support. I would never allow my marketing department to pour money down the crapper because everyone else is. I want results. If Google’s adwords quality scoring system is too complicated without producing the necessary result..i.e. sales, then we need to stop using it. Hold Google accountable and don’t let them hide behind some technology vail. I can see the google board sat looking at each other in a couple of years, heads in hands, saying where did we go wrong. Sure, these guys have a monopoly right now, but not for too long if they continue to treat their main revenue stream with contempt. My client sites seem to have been penalized. The ads wereplaced on the Content network many months ago. The ads were pulling in good leads but things got progressively bad to the point no leads were coming in. I tried creating new ads and landing pages but this did not improve. I emailed google support the other day for help and this was there response.. When I checked all the ad groups in these display campaigns, I found that drop in impressions was caused by a low quality score on the display network. Users aren’t finding these ads relevant and are clicking on them less frequently which has caused them to appear in less auctions. The low relevance is indicated by the low CTR seen in these accounts over the latter part of 2011 (0.05-0.20%). In this bidding method, your quality score is calculated only on the basis of landing page and not on your past performance. So your ads will have a better chance of getting high ad rank and more impressions. As opposed to this, CPC bidding method considers the quality of the landing page of your ads and the past performance of your ads. This does not work well for your ads, as they do not have a very good past performance. I will again suggest you to keep really competitive CPM bids, so that your ad rank can be pulled up, and you can get impressions. Once you start getting impressions and clicks, your quality score will start increasing. 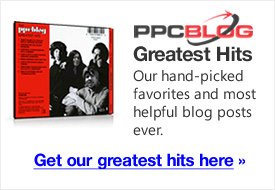 Also, as the performance of your ads improve, you can shift back to the CPC bidding method. After your make the above changes in your bidding method and bids, I will request you to please pause and un-pause your ads. This will help our system to re-load the ads into the ad serving system and show them with full throttle. I hope I have been able to clarify the reason for dip in performance for your ads. Please go ahead and make the required changes in your campaigns, to improve their performance. I request you to please give some time to your ads to start performing, once your make changes to your bids. What might be your comments on this? What do expect from the biggest legal advertising monopoly scam in history. The idiot sheep just carry on giving these pigs money.